We study the effects of angiotensin receptors antagonists, arginine vasopressin receptor antagonist, L-arginine and L-NAME, injected into supraoptic nucleus of the hypothalamus (SON) on sodium intake induced by the injection of angiotensin II (ANGII). Holtzman rats weighing 200-250 g with canulae implanted into the SON were used. The drugs were injected in 0.5 μL over 30-60 sec. Sodium intake after injection of saline SAL+SAL 0.15 M NaCl was 0.10±00.1 mL 2 h-1; SAL+ANGII injected into SON increased sodium intake. Losartan injected prior to ANGII into SON decreased sodium intake induced by ANGII. PD123319 injected prior to ANGII produced no changes in sodium intake induced by ANGII. AVPA receptor V1 antagonist injected prior to ANGII reduced sodium intake with a less intensity than losartan. L-arginine injected prior to ANGII decreases sodium intake at a same intensity than losartan. L-NAME injected prior to ANGII potentiated sodium intake induced by ANGII. Losartan injected simultaneously with L-arginine prior to ANGII blocked the natriorexigenic effect of ANGII. These results confirm the importance of SON in the control of sodium intake. Also suggest that both AT1 and arginine vasopressin V1 receptors interact with nitrergic pathways within the SON influencing the sodium metabolism by changing sodium appetite induced by ANGII. Wilson Abrao Saad, Ismael Francisco Motta Sigueira Guarda , Luis Antonio de Arruda Camargo , Talmir Augusto Faria Brizola dos Santos and William Abrao Saad , 2007. Effects of Nitric Oxide and Arginine Vasopressin on Sodium Intake Induced by Central Angiotensin II. Part 2. Journal of Biological Sciences, 7: 806-810. Cardiovascular and hydroelectrolytic balance was influenced by vasopressin and nitric oxide in areas of the central nervous system mainly in the circumventricular structures (Saad et al., 2006a). Nitric oxide influences the angiotensin effect in many physiological mechanisms such as salivary secretion (Saad et al., 2002). Application of angiotensin antagonist DuP753 blocks the ANGII-induced depolarization in the SON neurons. In contrast, application of the type AT2 antagonist PD123177 was ineffective in blocking this response (Yang et al., 1982). The systemic application of ibersartan and losartan abolished the ANGII central physiologic responses (water intake, sodium intake and increase arterial pressure (Camargo and Saad, 1999). NO synthase inhibitors such as L-NAME have been used widely to determine the role of endogenous NO. L-NAME reduced urinary sodium excretion (Mousseau et al., 1996). It has been demonstrated that NO may facilitate the release of excitatory transmitters, possibly through a presynaptic cyclic GMP-dependent mechanism (Wu et al., 1997). The influence of NO on angiotensin effects has been demonstrated (Saad et al., 2002). L-NAME increases blood pressure that is due to an increase in salt sensibility (Hodge et al., 2002). Endothelial and neuronal nitric oxide synthase inhibitors influence angiotensin II pressor effect in central nervous system (Saad et al., 2006b). The role of renin-angiotensin system in the control of arterial blood pressure and salt appetite in rats has been demonstrated (Thunhorst and Johnson, 1994). The participation of SON in the regulation of water and sodium balance has been demonstrated (Antunes et al., 1998). Since the SON are involved in the control of hydromineal and cardiovascular balance we investigated whether the natriorhexigenic effect, induced by ANGII injection into the SON could be mediated by angiotensin, vasopressin receptors and nitric oxide within the SON. Subjects: Holtzman rats weighing 200-250 g with canulae implanted unilaterally into SON were used. The animals were housed in individual metabolic cages. Food (Purina Rat Chow) and tap water is available, ad libitum, for the duration of the experiments. The room temperature was maintained at 22±2°C. The light cycle was held at 12:12 with lights on 06:00 h. All experiments were conducted during the light period, between 09:00 am and 03:00 pm. If it started 09:00 am it ended 11:00 pm. Cerebral cannula: The animal were anesthetized with ketamine (80 mg kg-1 of body weight) plus xylazine (7 mg kg-1 of body weight) intraperitoneally (ip) and implanted with 10 and 12 mm long and 0.7 mm OD stainless steel cannulae into the SON, according to the coordinates of the Paxinos and Watson (1986) rat brain atlas. The coordinates were 1.4-1.8 mm caudal to bregma, 2.3 mm lateral to middle line and 9.2 mm bellow the duramater. The cannulae were fixed to the skull with the aid of jeweler screws and dental acrylic resin and protected with a stylet. Rats recovered from surgery for a minimum of 5 days beginning of testing. Central drugs injections: Injections into SON were made using 10 μL Hamilton syringes connected by polyethylene tubing (PE-10) to 30-gauge injection cannulas. At the time of testing, the obturator was removed and the injection cannula introduced into the chronically implanted guide cannula. The injection cannula was 0.5 mm longer than the guide cannula. The injection volume was 0.5 μL delivered over 20 to 30 sec. After injection, the styles were replaced and the rats were placed back into the cage. Drugs: ANGII purchased from Sigma (Chemical Co., St. Louis, MO) and dissolved in saline (0.15 M NaCl) at 10 nmol/0.5 μL. PD123319 and losartan purchased from DuPont, Merck, Wilmington, DE USA and dissolved in saline (0.15 M NaCl), at 80 nmol/0.5 μL. d(CH2)5-Tyr(Me)-AVP (AVPA) purchased from Bachem, Inc., Torrance, Ca, USA and dissolved in saline (0.15 M NaCl), at 80 nmol/0.5 μL. L-arginine purchased from Sigma (Chemical Co., St. Louis, MO) dissolved in saline (0.15 M NaCl) at 20 μg/0.5 μL. NG-nitro-L-arginine methyl ester (L-NAME) purchased from Sigma (Chemical Co., St. Louis, MO), dissolved in saline (0.15 M NaCl) at 40 μg/0.5 μL. Sodium intake: ANGII (10 pmol/0.5 μL) or vehicle was injected into the SON, water and was offered. Each antagonist was also injected into the SON at the dose of 80 nmol/0.5 μL, 15 min before sodium was offered. The antagonists were injected into the SON 10 min before ANGII was injected into the SON. L-arginine (20 μg/0.5 μL) nitric oxide donor and L-NAME (40 μg/0.5 μL) nitric oxide inhibitor were injected into SON 10 min prior to ANGII injection into the SON. Sodium intake was recorded each 30 min over a 2 h period using individual metabolic cages. Histology: At the end of the experiments, the rats were anesthetized with ether and given at 0.5 μL injection of fast green dye via the intracranial cannula, followed by perfusion with saline and buffered formalin. The brains were removed, fixed in 10% formalin, frozen to -25°C and cut into 20-30 μm coronal sections and cut into 20-30 μm coronal sections and stained with hemathoxilin-eosin. Only animals in which the injection was placed in the lateral medial and caudal portion of the SON were use in this study (Fig. 1). Data analysis: Results are reported as means±standard error of the mean (SEM) for the indicated experiments. 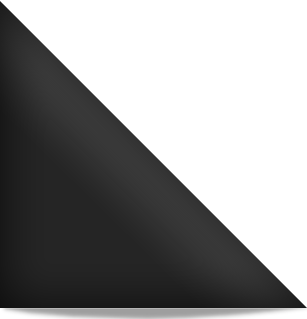 Statistical analysis was subjected ANOVA followed by the Newman-Keels post-hoc test. Differences were considered significant at p<0.05. Sodium intake: Sodium intake after injection of 0.15 M NaCl into SON was 0.1±0.01 mL 2 h-1. ANGII injected into SON increased sodium intake (4.2±0.3 mL 2 h-1) (p<0.05). Losartan injected into SON prior to ANGII injection into the SON decreased the sodium intake (2.2±0.4 mL 2 h-1) (p<0.05). AVPA (arginine vasopressin V1 receptor antagonist) injected into the SON decreased the sodium ingestion induced by ANGII injection into the LSA (3.1±0.4 mL 2 h-1) (p<0.05). Sodium intake induced by injection of ANGII into SON was reduced by previous injection of L-arginine into the SON (1.1±0.4 mL 2 h-1) (p<0.05). L-NAME alone injected in this site produce an increased in 3% NaCl (2.6±0.3 mL 2 h-1) (p<0.05). The natriorexigenic effect of ANGII was potentiated by previous injection of L-NAME into SON (7.0±0.60 mL 2 h-1) (p<0.05). PD 123319 produced no effect in sodium intake induced by ANGII (5.1±0.8 mL 2 h-1). Losartan in association with L-arginine abolished the sodium ingestion induced by ANGII (0.2±0.1 mL 2 h-1) (p<0.05) Fig. 2. Recently we demonstrated the interaction between nitrergic and vasopressinergic pathways of the SON on water intake induce by central application of ANGII. The relationship between nitric oxide and vasopressin in the regulation of body fluid also has been demonstrated (Mornagui et al., 2006). These results demonstrate that injection of AT1 antagonist losartan into the SON reduced sodium intake, induced by angiotensinergic activation. PD123319, a selective antagonist of AT2 receptors, had no effect on sodium intake. McKinley et al. (2003) showed that angiotensin AT1 and AT2 receptors are also plentiful in the brain. Previous injection of d (CH2)5-Tyr (Me)-AVP, an arginine vasopressin V1 receptor antagonist, into the SON decreased the ANGII-induced increased sodium intake. These results indicated that NaCl 3% intake induced by ANGII involves the V1 vasopressin receptors. Studies utilizing autoradiography, selective to ANGII-receptor antagonists revealed that the SON of the rat contains AT1 receptors (Tsutsumi and Saavedra, 1991). Furthermore it has been reported that salt appetite can be triggered by iontophoretically applied ANGII into the anterior median septum (Mousseau et al., 1996). An endogenous origin for ANGII is suggested by various reports of angiotensin-like immunoreactivity in the magnocellular neurons of the SON (Renaud and Bourque, 1991). Possible ANGII is released locally from axon collaterals or somato-dendritic sites as proposed for vasopressin (Richard et al., 1991). Present studies also demonstrate that L-NAME increased sodium intake induced by ANGII stimuli. These results clearly demonstrated that ANGII implicated NO to produce the natriorexigenic effect and that the SON is an important area for this behavior. It has been demonstrated that NO attenuated the ANGII-induced sodium intake. Vasoconstriction and ANGII can evoke losartan-resistant tubular Na+ reabsorption, but the tubular action are concealed by NO (Suo et al., 2002; Zhou et al., 2002). The chloroquine stimulates nitric-oxide synthase both centrally, stimulating vasopressin secretion and within the kidney, were it modulates glomerular hemodinamics and tubular function (Ahmed et al., 2003). Other studies demonstrated that alpha-1 and beta-adrenoceptors of the lateral hypothalamus are possibly involved with central mechanism dependent on ANGII and SFO that control water and sodium intake (Camargo et al., 2000). Also these results show that ANGII-induced sodium appetite was dependent on AT1 receptors. NO also play a role in this response. Treatment with AT1 ANGII receptor blocker, losartan, reversed the increase in sodium intake. Treatment with L-NAME induces an increase in sodium intake. The action of L-NAME may be due a local vasoconstriction. Further, the salt-sensitive component appears to be ANGII-dependent, as it was associated with increasing plasma ANGII levels and could be reversed by treatment with an ANGII receptor antagonist (Hodge et al., 2002). Dehydration produced in the supra optic nucleus a significantly increase in c-Fos staining with a great percentage of the Fos cells and increase in vasopressin. Changes in Fos staining were also observed in the NTS, RVL, parabrachial nucleus and PVN. Rehydration with water or saline produces differential effects on plasma AVP, Fos staining and sodium concentration (Gottlieb et al., 2006). Whereas the AT1 receptors of the SON mediate NaCl ingestion induced by angiotensinergic activation of the SON, the arginine vasopressin V1 AVPergic neurons inhibit sodium ingestion. The AT2 receptor antagonist receptor produced no effect on sodium intake. These results clearly demonstrated that ANGII implicated NO mechanism to induce sodium intake. SON is an important structure of the central nervous system that regulates the natriorexigenic response induced by activation of the renin-angiotensin system of the SON. NO contributes to the fine regulation of vasopressin synthesis and release (Vacher et al., 2003). Therefore these investigations confirm the importance of SON and AT1, AT2, V1 receptors and NO in the control of sodium intake. These results were strongly supported by previous studies of our laboratory demonstrating that SON participated in cardiovascular and hydromineral regulation (Saad et al., 2004, 2006c). Angiotensinergic neural pathways of SON implicated vasopressinergic and nitrergic mechanism in the control of sodium intake, important mechanism for the sodium metabolism. Research supported by CNPq, FAPESP, FUNDUNESP PRONEX and FUNADESP UNIARA. Ahmed, M.H., N. Ashton and R.J. Balment, 2003. The effect of chloroquine on renal function and vasopressin secretion: A nitric oxide-dependent effect. J. Pharmacol. Exp. Ther., 304: 156-161. Antunes, V.R., G.H. Camargo, R. Saad, W.A. Saad, A.C. Luiz and L.A.A. Camargo, 1998. Role of angiotensin II and vasopressin receptors within the supraoptic nucleus in water and sodium intake induced by the injection of angiotensin II into the medial septal area. Braz. J. Med. Biol. Res., 31: 1597-1600. Camargo, L.A.A. and W.A. Saad, 1999. Renal effects of angiotensin II receptor subtype 1 and 2-selective ligands injected into the paraventricular nucleus of conscious rats. Regul. Peptides, 84: 91-96. Camargo, L.A.A., W.A. Saad and G.P. Camargo, 2000. Effects of subtypes alpha-and beta-adrenoceptors of the lateral hypothalamus on the water and sodium intake induced by angiotensin II injected into the subfornical organ. Brain Res., 881: 176-181. Gottlieb, H.B., L.L. Ji, H. Jones, M.L. Penny, T. Fleming and J.T. Cunningham, 2007. Differential effects of water and saline intake on water deprivation-induced c-Fos staining in the rat. Exp. Neurol., 203: 445-456. Hodge, G., V.Z. Ye and K.A. Duggan, 2002. Salt-sensitive hypertension resulting from nitric oxide synthase inhibition is associated with loss of regulation of angiotensin II in the rat. Exp. Physiol., 87: 1-8. McKinley, M.J., A.L. Albiston, A.M. Allen, C.N. May and R.M. McAllen et al., 2003. The brain rennin-angiotensin system: Location and physiological roles. Int. J. Biochem. Cell. Biol., 35: 901-918. Mornagui, B., A. Grissa, M. Duvareille, C. Gharib, A. Kamoun, S. El-Fazaa and N. Gharbi, 2006. Vasopressin and nitric oxide synthesis after three days of water or food deprivation. Acta Biol. Hung., 57: 1-11. Mousseau, M.C., S.N. Thornton, F.P. Martial, F. Lienard and S. Nicolaids, 1996. Neuronal responses to iontophoretically applied angiotensin II, losartan and aldosterone, as well as gustatory stimuli, in non-anesthetized control and desoxycorticosterone acetate-pretreated rats. Reg. Pept., 66: 51-54. Paxinos, G. and C. Watson, 1986. 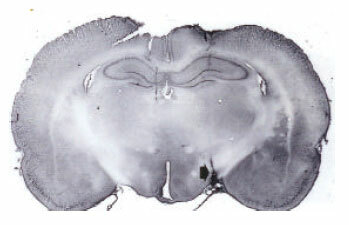 The Rat Brain in Stereotaxic Coordinates. 2nd Edn., Academic Press, San Diego, ISBN-10: 0125476213. Renaud, L.P. and C. Bourque, 1991. Neurophysiology and neuropharmacology of hypothalamic magnocellular neurons secreting vasopressin and oxytocin. Prog. Neurobiol., 36: 131-169. Richard, P., F. Moos and M.J.F. Mercier, 1991. Central effects of oxytocin. Physiol. Varnish, 71: 331-370. Saad, W.A., I.F.M.S. Guarda, L.A. de Arruda Camargo, W.A. Saad, R.S. Guarda, T.A.F.B. Santos and S. Simoes, 2006. Endothelial and neuronal nitric oxide synthase inhibitors influences angiotensin II pressor effect in central nervous system. Int. J. Pharmacol., 2: 341-347. Saad, W.A., I.F.M.S. Guarda, L.A.A. Camargo and S. Simoes, 2006. Nitric oxide and AT1-AT2 receptors influence the pressor effect of angiotensin II. Eur. J. Anaesthesia, 37: 99-99. Saad, W.A., I.F.M.S. Guarda, L.A.A. Camargo, R.S. Guarda, W.A. Saad and T.A.F.B. Santos, 2006. Influence of vasopressin receptor and nitric oxide on the water, sodium intake and arterial blood pressure induced by angiotensin injected into the third ventricle of the rat brain. J. Biol. Sci., 182: 182-186. Saad, W.A., I.F.M.S. Guarda, L.A.A. Camargo, T.A.F.B. Santos, W.A. William and S. Simoes, 2002. Role of nitric oxide and beta receptors of the central nervous system on the salivary flow induced by pilocarpine injection into the lateral ventricle. Pharmacol. Biochem. Behav., 72: 229-235. Saad, W.A., L.I. Gutiereez, I.F.M.S. Guarda, L.A.A. Camargo and T.A.F.B. Santos et al., 2004. Nitric oxide of the supraoptic nucleus influences the salivary secretion, sodium renal excretion, urinary volume and arterial blood pressure. Life Sci., 74: 1593-1603. Suo, M., J. Kalliovalkama, I. Porasti, P. Jolma, J.P. Tolvanen, O, Vuolteenaho and H. Ruskoaho, 2002. N(G)-nitro-L-arginine methyl ester-induced hypertension and natriuretic peptide gene expression: Inhibition by angiotensin II type 1 receptor antagonism. J. Cardiov. Pharmacol., 40: 478-486. Thunhorst, R.T. and A.K. Johnson, 1994. Renin-angiotensin, arterial pressure and salt appetite in rats. Am. J. Physiol., 266: R458-R465. Tsutsumi, K. and J.M. Saavedra, 1991. Characterization and development of angiotensin II receptors subtypes (AT1 and AT2) in rat brain. Am. J. Physiol., 261: R209-R216. Vacher, C.M., H. Hardin-Pouzet, H.W. Steinbusch, A. Calas and J. De Vente, 2003. The effect of nitric oxide on magnocellular neurons could involve multiple indirect cyclic GMP-dependent pathways. Eur. J. Neurosci., 17: 455-466. Wu, S.Y., S.L. Dun, V. Forstemann and N.J. Dun, 1997. Nitric oxide and excitatory post-synaptic currents in immature rat sympathetic preganglionic neurons in vitro. Neuroscience, 79: 237-245. Yang, C.R., M.I. Phillips and L.P. Renaud, 1982. Angiotensin II receptor activation depolarizes rat supraoptic neurons in vitro. Am. J. Physiol., 263: R1333-R1338. Zhou, X.J., N.D. Vaziri, J. Zhang, H.W. Wang and X.Q. Wang, 2002. Association of renal injury with nitric oxide deficiency in aged SHR: Prevention by hypertension control AT1 blockade. Kidney Int., 62: 914-921.